Phoenix police say an 18-year-old woman is dead following a shooting outside a motel in central Phoenix. 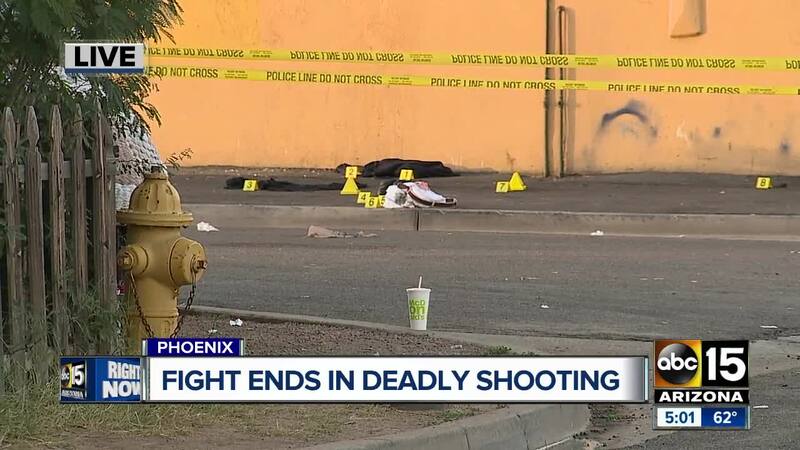 PHOENIX — Phoenix police say an 18-year-old woman is dead following a shooting outside a motel in central Phoenix. 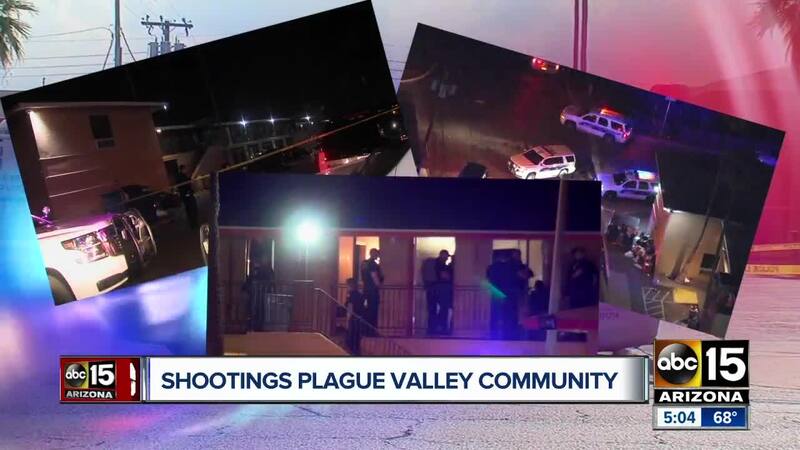 Police say the shooting occurred about 11:30 a.m. Sunday at a motel located near 24th and Van Buren streets..
Police said in an afternoon update Monday that one of the suspects and an accompanying unknown man arrived at the area and engaged in a verbal altercation with a group of people. The argument intensified and weapons were pulled out and shots were fired. Officials on scene said six people were shot. One of the victims, an 18-year-old woman later identified as Fiasia Perry, died at the scene. The other victims were taken to the hospital. Three of those victims are in critical condition, according to police. The age of the shooting victims ranges from 18 to 40-years-old. One of suspects was shot during the incident and is at the hospital recovering. The accompanying unknown man who was with the suspect is still outstanding and is wanted by police. A description of the man was not immediately available. Anyone with information is asked to contact the Phoenix Police Department or Silent Witness at (480) WITNESS.